Shemazing.com – Beauty Blogger Of The Week Kate From Pure Irish Sugar. TheBeautifulTruth.ie – The Perfect Summer Tan. Irishcountrymagazine.ie – My Hometown: The Best Places In Cavan. Thesunkisseddiary.com – 5 Mins With…Kate Kelly From Pure Irish Sugar. AJmakeup.com – Irish Ladies I Love To Follow On Snapchat! Goss.ie – The Ultimate Top 50 Irish People To Follow On Snapchat. Irish Examiner – Top 50 Irish People You Need To Follow On Snapchat. Breakingnews.ie – Top 50 Irish People You Need To Follow On Snapchat. 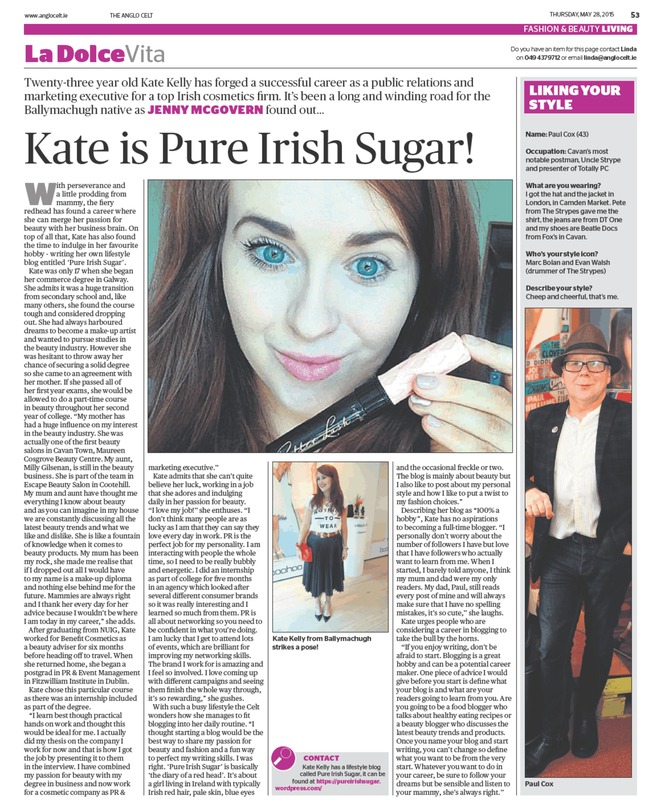 beautitude.ie – Catch up with Kate from Pure Irish Sugar. Goss.ie – Irish Beauty Blogger Creates The Perfect Beauty Treatment: Multi-Masking.